It's starting to feel like summer here in the Pacific Northwest and I'm loving it. 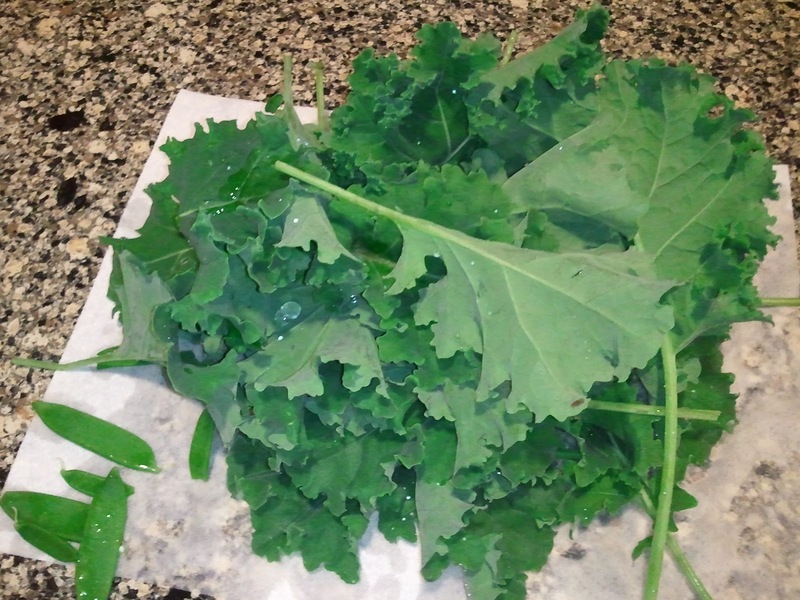 It's not been too hot here yet so the garden isn't producing a lot, but I'm getting a good amount of kale, chard and lettuce. And the pea plants have a few snap peas ready to pick. For dinner the other night i wasn't really in the mood to cook much of anything. That's the way it is during the summer. I just want to play outside all day and not stop early enough to cook dinner. So I thought cooking some bacon would be an easy way to feed the family. I had greens from the garden and my veggie box last week contained some tomatoes and mushrooms. 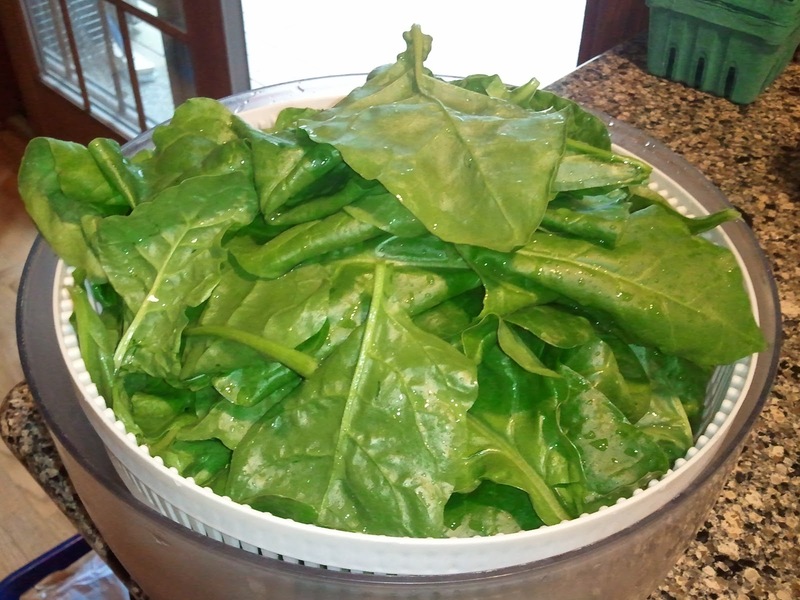 BLT Salad was born! 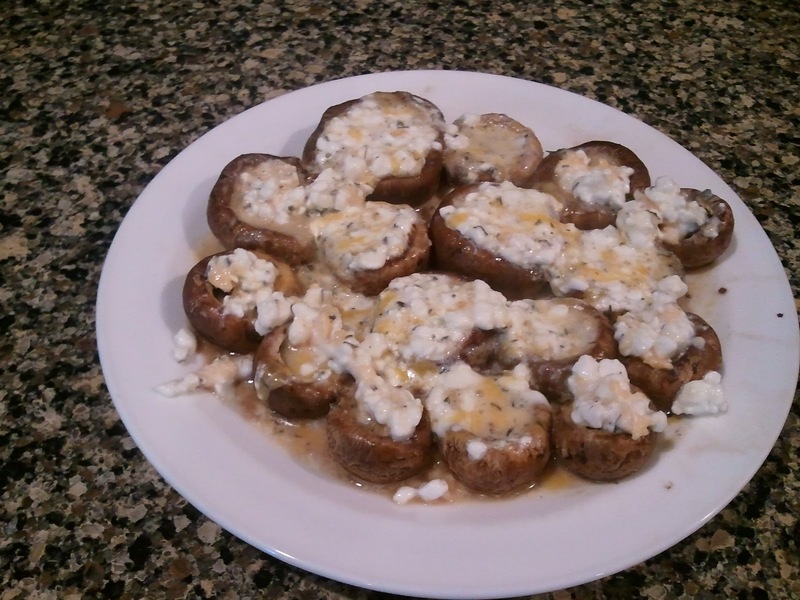 The stuffed mushrooms was an experiment gone right. I'll probably make them again; they were so easy. 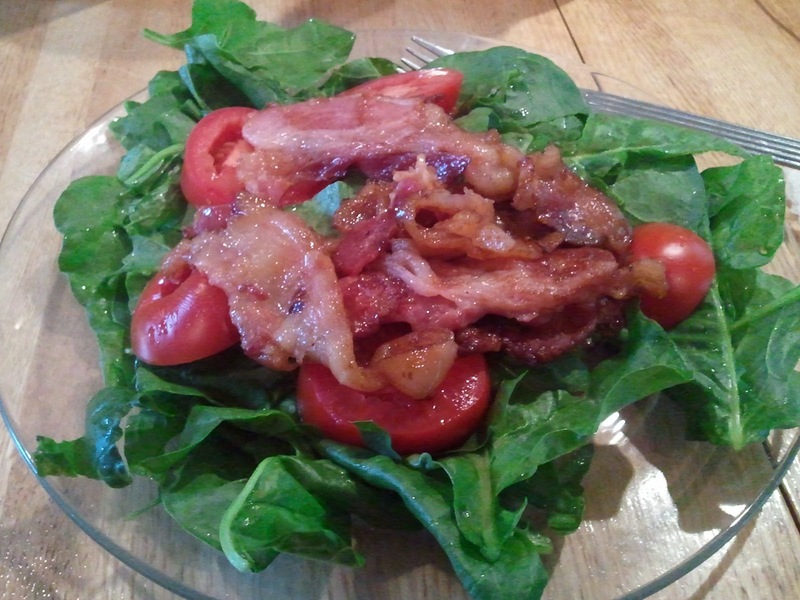 Arrange greens on a plate, add sliced or diced tomatoes, top with bacon and drizzle balsamic vinegar over all. Remove stems from mushrooms and wash caps. Place mushrooms on a paper towel on a microwave safe plate and nuke for 1.5 minutes on high. Remove from microwave and turn caps upside down to water can drain. Mix all other ingredients together in a small bowl. Fill caps with cheese mixture then microwave again for 1 minute on high. 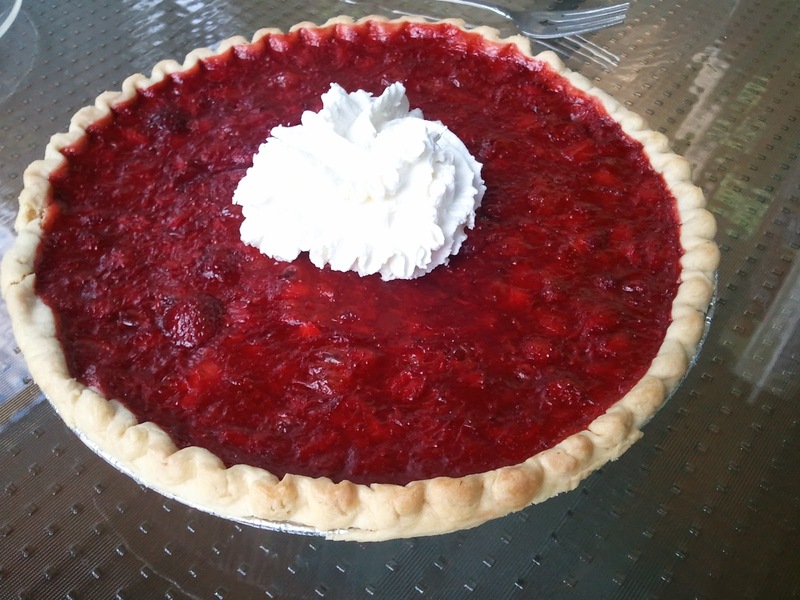 Arrange about half of sliced strawberries in pie crust. 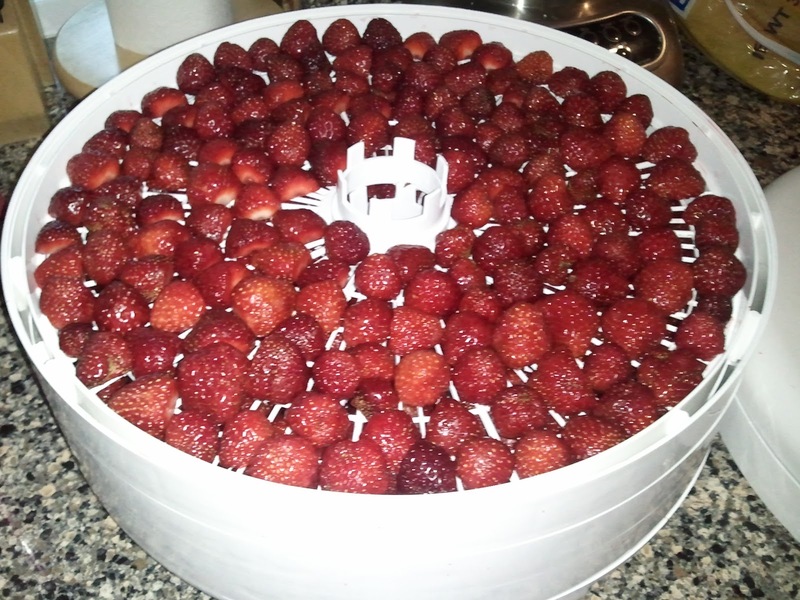 Take other half of strawberries, combine with corn starch, water and coconut crystals in a saucepan. Bring to a boil over medium heat while stirring constantly. Pour boiled mixture over sliced berries in crust. Bake pie for about 30 minutes until crust is golden. Let cool then chill for about an hour before serving.